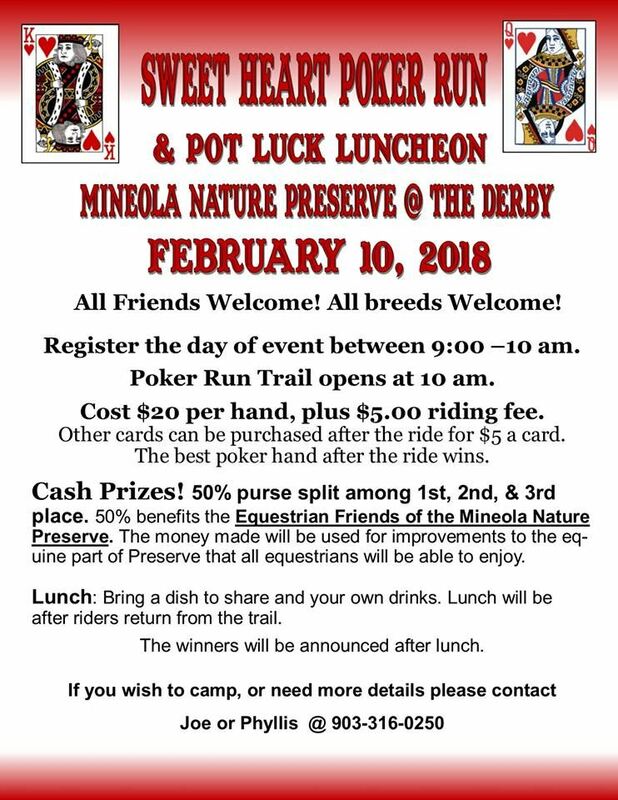 Sweet Heart Poker Run & Pot Luck Luncheon at the Nature Preserve. The Derby on Feb. 10, 2018. Register between 9:00am - 10:00 am. For more info contact Joe or Phyllis Petronella at 903-316-0250! See flyer below for more info.